Twitter can be interesting, entertaining, informative and just flat out hilarious. But it all comes down to who you follow. As an athlete, we need a daily dose of entertainment and motivation. Over the years, Twitter has become a place for athletes to connect with fans, speak their minds, and eliminate any media that may alter their words. 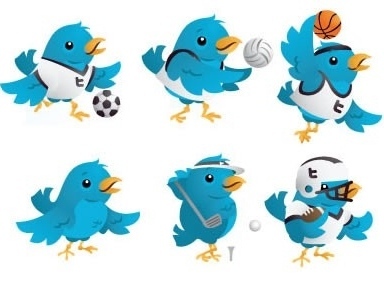 Here are 10 twitter accounts that every athlete should follow. The philosopher-hockey player (“How long should you run hot water over your toothbrush before you use it again if you accidently drop it in the toilet?”) lives out loud on Twitter, offering fans endless insight into his life. Whether you want it or not. Dwayne Johnson, a.k.a. “The Rock,” is one motivated man. His Twitter is flooded with inspirational quotes, weight room pictures and even his personal workout plans. Spend a few minutes on The Rock’s account and you’ll suddenly find yourself itching to hit the weight room. This one is for the single ladies… and men. Buzzfeed called Jones “the Olympian version of Liz Lemon and it’s an apt description. Her Twitter feed is a laugh-out-loud funny about her endless singledom, and she’s phenomenal with comebacks when people mock her. One of those mornings when you can’t get out of the bed and into your gym clothes? Take a look at Larry Winget for your daily dose of motivation. Winget isn’t interested in excuses; he’s interested in results. Think of Winget like that coach who was always super hard on you, but only because he knew your potential. The comedy credentials are strong — he’s the head writer and executive producer of Late Show with David Letterman — and his feed is regularly filled with 140-character riffs on sports. The 15-time Grand Slam queen can be guarded in interviews, but you’d never know it from a feed that allows fans a candid view of her goofy side. 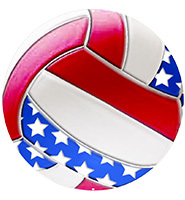 Not only does the NVL give you in the inside scoop on beach volleyball, but we share some great reads from the NVL blog – including humor, fitness tips and personal stories. To top it off, we engage our audience in stimulating volleyball conversation and encourage feedback!